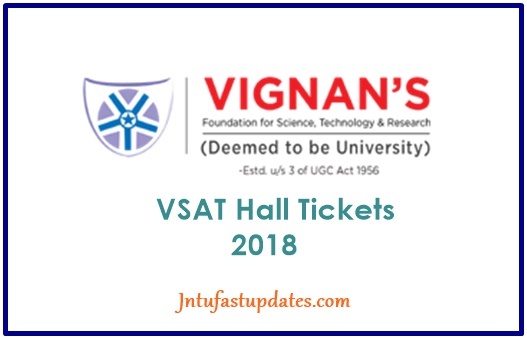 Vignan Entrance Test Hall Tickets 2019 : Vignan University has to be released Vignan Scholarship Aptitude Test (VSAT) Admit Card/ Hall Ticket 2019. Applicants can download VSAT Hall ticket on vignanuniversity.org. Vignan University is going to organize the VAST Examination annually for students aspiring to join various graduate courses like B.Tech / BBA/ BCA. The concerned VSAT Examination is scheduled from 15th April 2019 to 25th April 2019. Vignan University Scholarship Admission Test (VSAT) examination is nearing. Hence candidates can download their VAST Hall ticket 2019 and save it for examination carrying purpose. Applicants also can check the examination venue and time of the examination, subject and other details on the hall ticket. Candidates can also check their signature and passport photograph on the hall ticket. If there are any sort of printing mistakes appeared on the admit card candidates can contact concerned authorities on phone or e-mail for rectification. Hence after downloading the VSAT Hall ticket 2019, candidates can check it thoroughly for verifying all the information. Also check the spellings also once keenly. Candidates are not allowed to enter into examination hall without admit card. So it is hereby informed that candidates must download and preserve the hall ticket without losing it and carry to the examination without fail. Candidates can easily download their VAST Hall ticket by entering the registration number / DOB. The VSAT Hall ticket 2019 will be accessible to download before 10 days of the examination. Candidates those who have applied this year can download the hall ticket from Vignan University official website. Also, here we have given the step by step process to download the hall ticket. 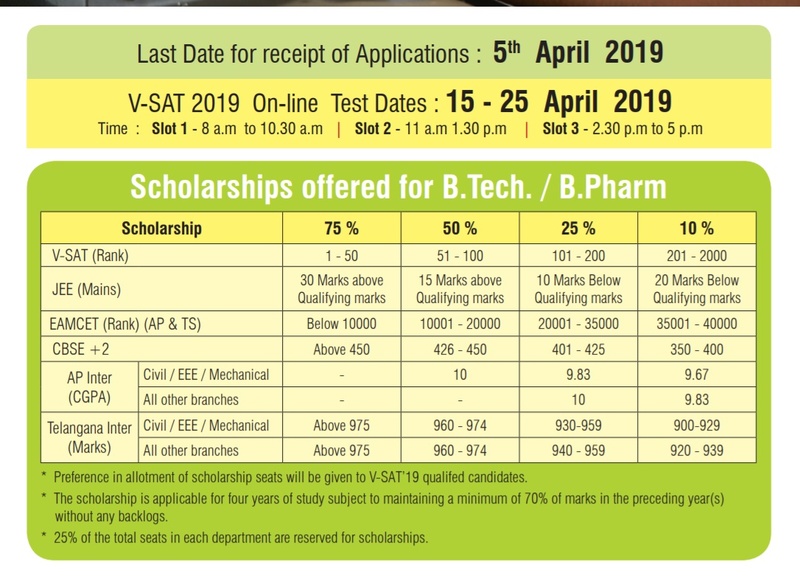 Go through it to download the VSAT Admit Card 2019 easily. There are 4 Pars in VSAT Exam, Maths or Biology, Physics, Chemistry and English/ Aptitude. The VSAT Examination will be consisting of Multiple Choice Questions (MCQs). Candidates need to chose one right option from given choices. there is no negative marking. Candidates must attend the examination before 30 minutes of the examination, live demonstration of online test will be arranged for the candidates before the commencement of test Candidates must bring their hall ticket with them. The test is 180 minutes duration. No break is permitted during the test. Candidates attempting the VSAT Examination must follow these rules and attend the examination. Candidates attempted the VSAT Examination 2019, can check their VSAT Results 2019 on the official website, vignanuniversity.org after 3 – 4 weeks of the examination has been completed. Candidates need to update the official website of Vignan University for regular updates and information. Click on the link, and enter the necessary information like Registration No, DOB Etc. VSAT Hall Ticket will be displayed on the screen. Save it and make a printout of it.